Visit our Family Stories page! 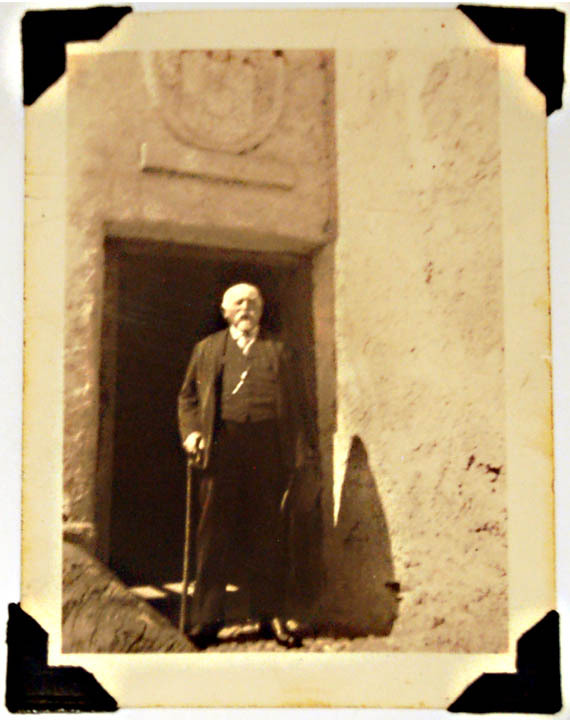 Damiano Genetti standing in the doorway of the Genetti ancestral home in Castelfondo, Austria (Italy). 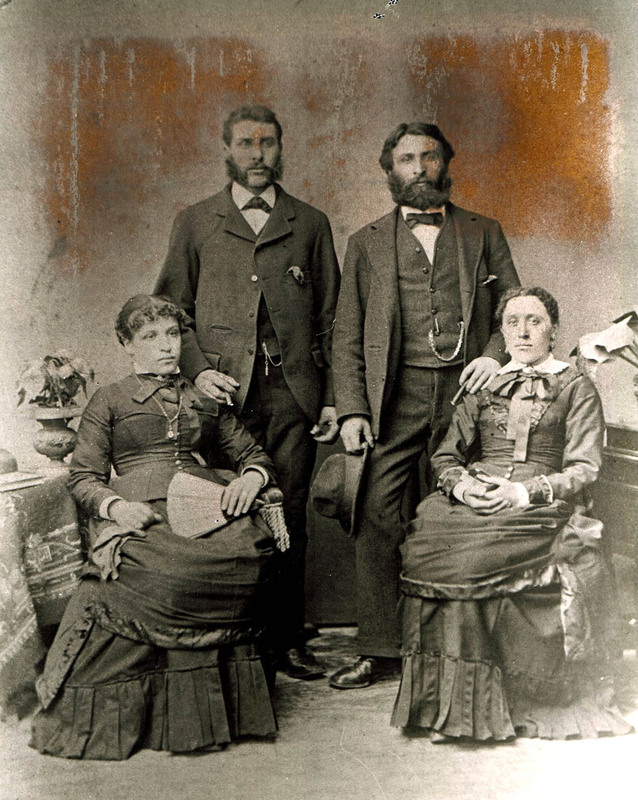 Have you visited The Gallery yet on The Genetti Family Genealogy Project? This section of our website contains a huge amount of information about our family. 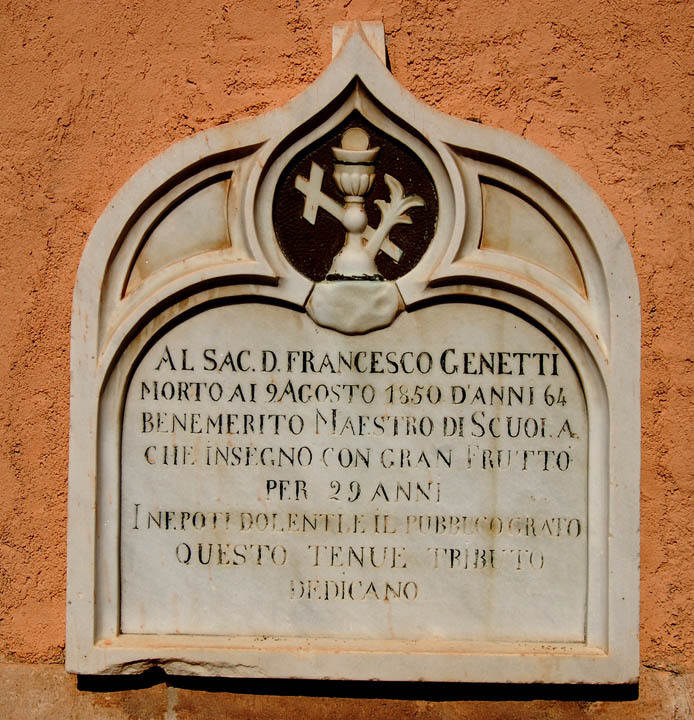 Here you’ll find an archive of photographs, individual family portraits, info and photos from our ancestral home of Castelfondo, a cache of family stories, pics from cemeteries where our ancestors are buried, and obituaries. The Gallery section is always growing as more cousins send in their family archives. Stop by today for a visit! Click below to visit individual sections. Left to right: Angela Genetti, her husband Raffael Recla; Peter Zambotti and his wife, Anna Maria (Mary) Genetti. Angela and Mary were sisters. About 1895. Another Memory Page has been added to our Family Stories section! Don Lingousky, the great-grandson of Angela Maddalena Genetti Recla of Sheppton, Pennsylvania has shared a treasure trove of photographs and stories about his family. During the past few months, I’ve became acquainted with Don and his wife Joyce, via email. 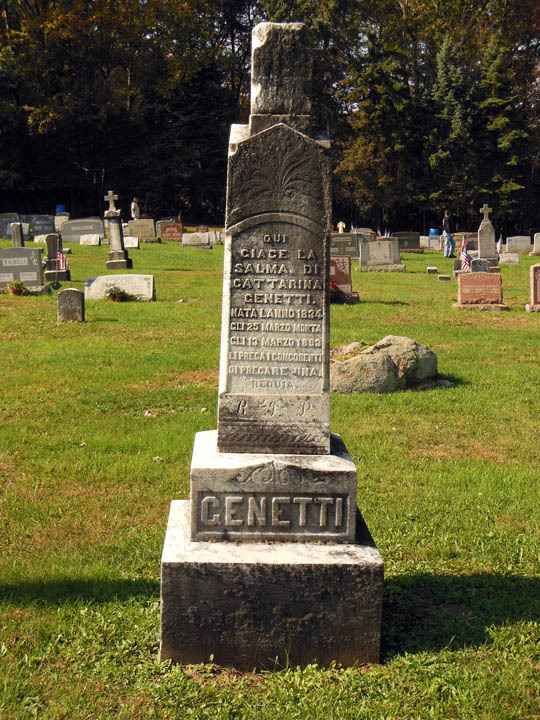 While conducting his own genealogy research, Don found the Genetti website and generously offered his ancestral findings for our family archives. I was thrilled to see formal portraits from the turn of the century and read personal stories about another twig of the Genetti family tree. And even more excited – this particular twig was part of my branch of the tree! Don’s great-grandmother (Angela) and my great-grandfather (Damiano), were siblings – making Don and I third cousins. 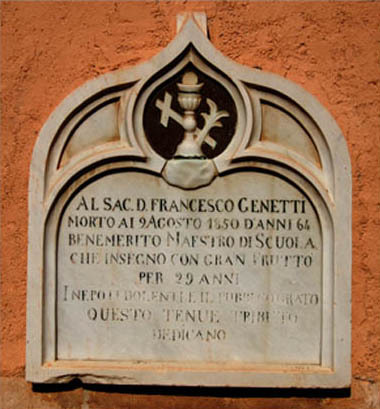 We share the same great-great grandparents – Leone and Cattarina Genetti. 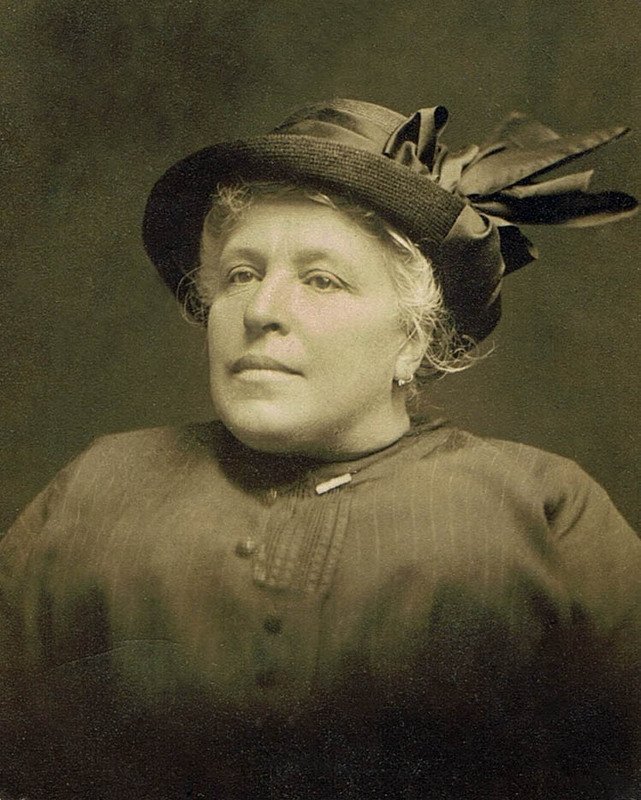 Angela Maddalena Genetti Recla, 1865 – 1937. Photo taken sometime before 1937. Through our combined research, we have uncovered a number of interesting facts that shed light on our mutual ancestors. Along the way, I introduced Don to another third cousin of ours, Nancy, who I met through Ancestry.com when our DNA results matched. Don and Nancy have the added bonus of being double 3rd cousins – both of their great-grandmothers (sisters Angela and Erminia Genetti) married brothers (Raffael and Emmanuel Recla). Now we are all communicating together and sharing our research. Pour yourself a cup of coffee, sit back in your favorite comfy chair and reminisce while you’re reading Don’s Memory Page, (click here). Allow yourself to be transported 125 years back in time to the coal mines of rural Pennsylvania. It was an era when the Genetti family immigrated to America, worked hard and brought with them the dream of becoming entrepreneurs. After you have enjoyed Don’s family lore, why not take a stroll down your own memory lane? Dig out that dusty shoe box of photos from the back of the closet. Pick a few of your favorites and begin writing. Soon you’ll find stories flowing from forgotten corners of your memory – precious moments your brain tucked safely away, waiting for the right moment to surface. 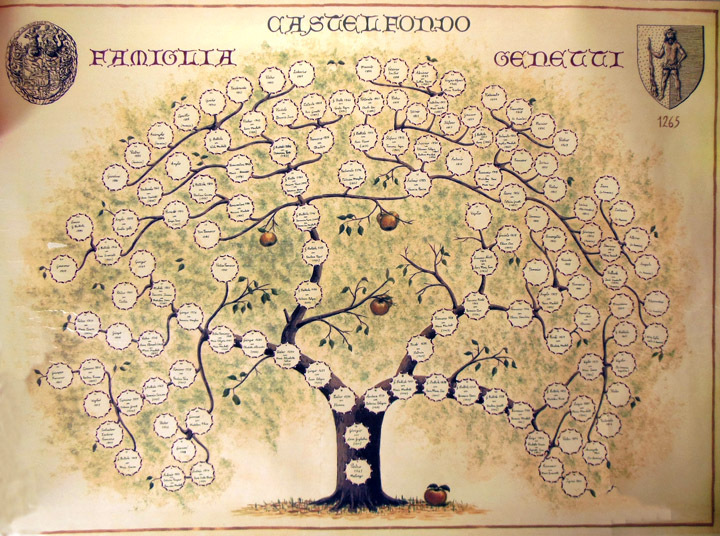 And if you are so inclined, please share your special family tales with the Genetti Family Genealogy Project. We would love to hear from you! Click here for our Contact page! Need help or ideas on how to write your family story? Visit the online Bookstore and check out our Family Legacy Book selections. We would like to thank Don and Joyce Lingousky for their contribution to and continuing support of the Genetti Family Genealogy Project. Thank you to Conrad Reich for contributing two obituaries to our Tributes page: Elizabeth Zambotti Reich (1995) and Nathan C. Hearn (2012). If you haven’t visited this section of the family website yet, take a moment and scroll through our list of Tributes to those who have passed on. If you have an obituary of a loved one and would like to have it included on the Tributes page, please email it to info.genetti.family(at)gmail.com. 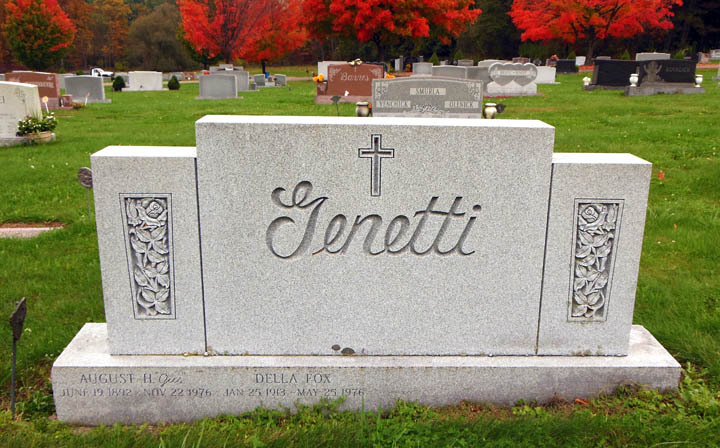 Portraits and photos of cemetery markers can also be included in a family Tribute. Visit the Cemeteries and Markers page. I came upon this quote from a new book entitled “Find the Good” and felt it was fitting for a family genealogy blog – particularly since I read a lot of obituaries to learn the stories of our ancestors! Perhaps this bit of philosophy will cause you to pause … and think of what you are leaving behind for future generations.